You love creating quilting patterns but writing and editing them is a chore. 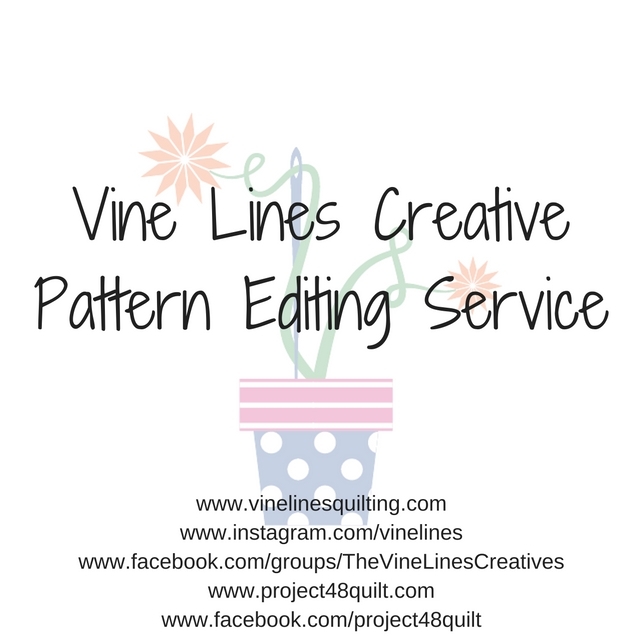 Imagine the stress and time you would save by partnering with Vine Lines Creative’s pattern editing service. We’ll take your pattern, test it for the correct measurements and fabric calculations and then edit it for readability and style so that you can send it out into the world. Linden is an experienced pattern tester and editor who has worked with a number of Australian and overseas designers. To have Vine Lines Creative work with you, simply make payment using our secure system – we’ll be in touch straight away to discuss your project.